A favorite summertime Sea Shell event is the two-day regatta which takes place at Mission Bay San Diego. This event is hosted by Mission Bay Yacht Club members Dave and Linda Sparkuhl who have a long time relationship with the Santa Barbara Sea Shell Association. 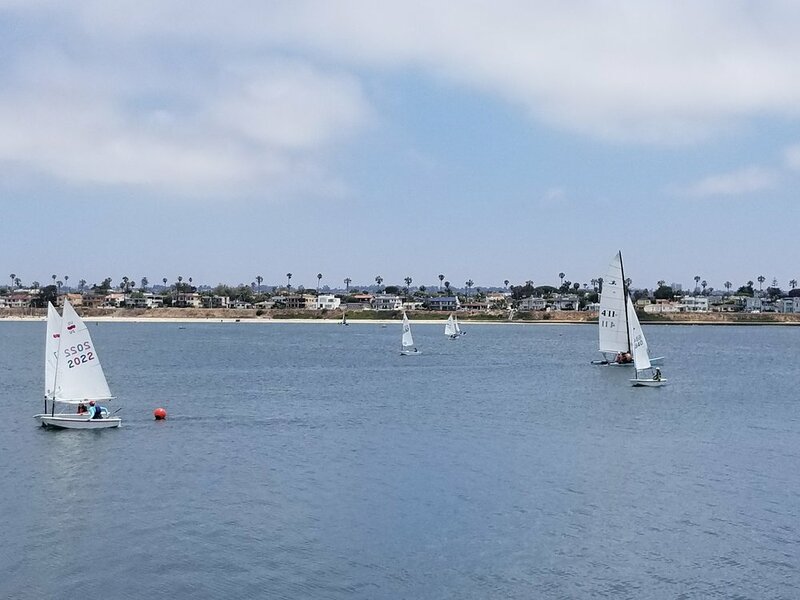 Mission Bay serves as a wonderful sailing destination for younger and novice skippers who are still developing skills because it is in a protected area offering different challenges than sailing in the Santa Barbara harbor. It is also a perfect venue for more advanced skippers as it offers new and longer sailing courses. 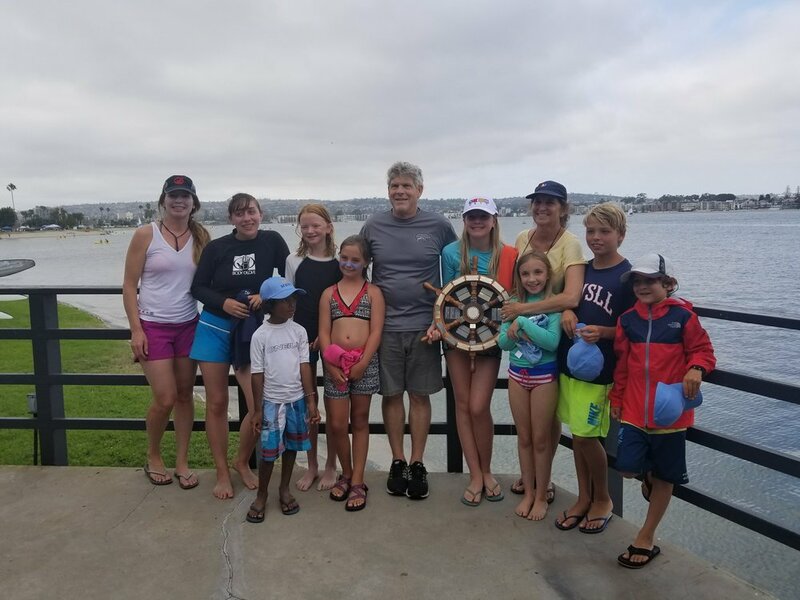 After a fun-filled day of competition, the skippers and their families are invited to join a catered dinner at the Mission Bay Yacht Club to bond over the adventures of the day and build long-lasting friendships. After dinner, a favorite activity is to play at the Belmont Amusement Park riding a roller coaster or playing boardwalk and seaside games. Finally, we end the weekend with another full day of sailing and awards! Come join the fun! Responsibilities of towing the safety boat and boat trailers are shared. Accommodation may be in hotel or camping. Diana Lovan, Mom of Julia, will coordinate and organize the out-of-town regatta to Mission Bay. If you have questions, ask her now and mark your calendar for this min-summer vacation.